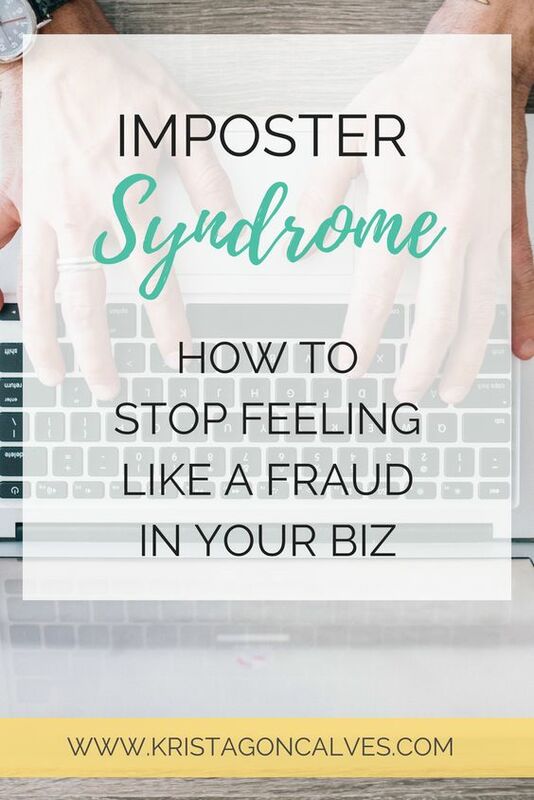 Imposter Syndrome: stop feeling like a fraud in your business! 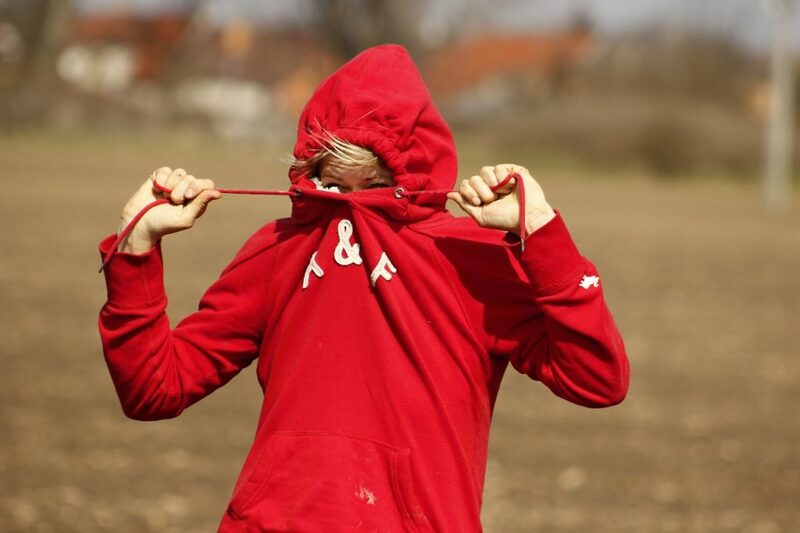 Imposter Syndrome – How to stop feeling like a fraud in your business! In this article, I’m going to give you some serious action-taking strategies that helped me put an end to some pesky self-sabotaging thoughts and behaviours, and gain more traction in my business — and I know they’re going to help you too! You’re a content writer, sales person, digital marketer, graphic artist, website designer, accountant, industry influencer, possibly even a recipe developer, and oh yah – you’re also a Health Expert and Rockstar Coach! To live up to even half of these roles and then master each of them is overwhelming to say the least, and just plain unrealistic. One of the biggest fears new healthpreneurs face, especially women – is feeling like they’re a complete fraud, built on the underlying thought that they’re just not good enough to run their own business, with hints of “who am I kidding? I knew I couldn’t pull this off!” thrown in for good measure. Well, I have a confession to make…I AM one of those women. I’m a fraud — and I’ve always been one to some extent. Let me walk you through my fraudulence. Ok, perhaps it’s just a feeling that I’ve carried around, more so than a reality in my business, but it runs deep for me nonetheless. 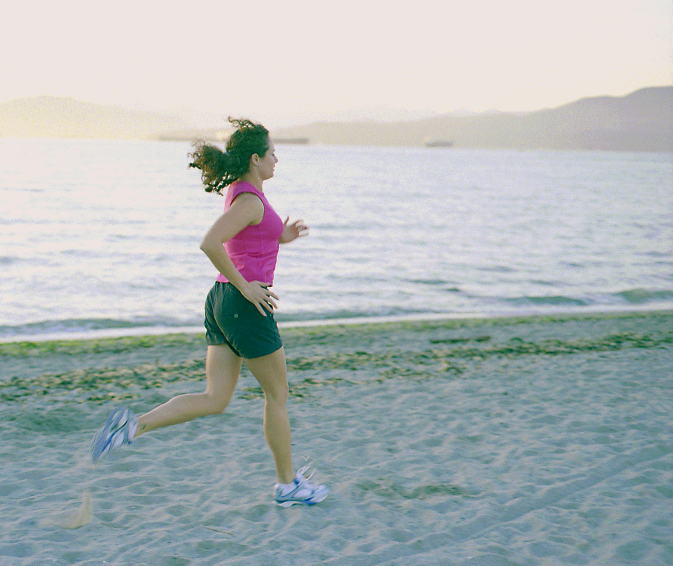 You see, I started off my career in the wellness industry as a Fitness Trainer & Bootcamp Company owner in Vancouver, BC. By all accounts, I was busy and successful. I was passionate about my work, was “booked out” with 1-on-1 clients for months, and there was a waiting list to get into my bootcamps. My clients thought I was such a positive health & fitness role model that I would often get asked to create meal plans for them, because after all – what I was eating must be the key to them feeling successful in their health plans too, right? Life – and business, was good. But I was also working 60+ hours per week and I was a very hands-on trainer, meaning I almost always worked out alongside my clients and campers. I eventually became so stressed, overwhelmed and run-down that I would just pick up a bag of Doritos and a six-pack of beer after heading home from work. That was dinner several nights a week. And then there was the binge drinking on the weekends. No joke! Total health & fitness fraud. I had just had my second child in 2011 when I finished my studies for my Holistic Nutritionist certification. I was super pumped to start my new consulting practice and incorporate many elements of holistic health & wellness, not just nutrition, into my business. I built up my clientele, getting increasingly busy in my practice, and shifted to working with mostly women. 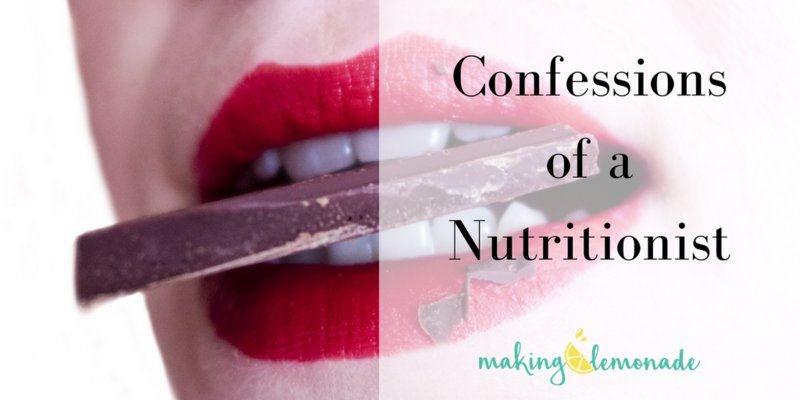 Even though I was passionate about counseling women on how upgrading their nutrition could positively impact their health issues, I started to feel uneasy by all the similarities I was also having with them! The chronic exhaustion, weight gain, belly fat, erratic moods, low energy…and the list goes on. I simply didn’t want to admit that I was having just as many if not more health issues than my clients were! I was the Health Expert for crying out loud and should have been able to “fix” myself. Not only that, I didn’t even recognize it when it was staring me in the face the whole time. Well, turns out I had a moderate case of adrenal dysfunction, cortisol dysregulation, and hypothyroidism. How had I missed this? How could I not have been better equipped to handle stress, and taken the steps to prevent it using my own Upgraded Nutrition plan? So how did I turn these feelings of fraud around and become a more confident health expert, while building an online wellness business and brand that I’m now really proud to show off? READ ON. Here are some of the reasons why YOU might be feeling like a fraud like I was. But let’s also remember that feeling like a fraud, does not mean that you are one! –> If you’re truly not living the wellness brand you’re trying to build – as in you’re a junk-food-lovin’, wine-guzzlin’ coach potato who then portrays themselves as the exact opposite (similar to what I was doing for a short period of time in the height of my bustling fitness biz), then it may be time to re-evaluate your career choice. On the other hand, cut yourself some slack! You’re human, and you’re not some unrealistic symbol of perfection! You truly don’t need to be crazy healthy or look a certain way in order to be an amazing Health Coach or other wellness professional. Just be sure that you’re able to realistically live your brand and it reflects who you truly are. –> Do you have website shame? Is your website and social media presence not in alignment with your brand? Do your photos not reflect your brand’s vibe? Your brand’s visuals must be aligned to its foundation. A website should showcase the key features of your brand and this helps you to work and live on brand more easily! You haven’t found the right niche yet – you don’t want to disappoint anyone! –> You’re a people pleaser, and you want to be all things to all people, except that you’re also feeling like a ‘jill of all trades, mistress of none’. For example, when I started off as an Nutrition Consultant, all walks of life were welcome. I wanted to help as many people as possible dammit! But I quickly realized that this broad approach attracted virtually no one, and when I did get a client, I felt unfocused, scattered and lacking confidence in the guidance that I was offering. It was when I decided to niche down and focus on just women’s hormonal health (fuelled by having gone through my own extensive hormonal problems) that I became more relatable and confident, and was able to connect with so many women, many of whom became clients. Your potential clients want to know exactly how you’re going to help them solve their health problems. So, don’t be afraid to turn people away if they aren’t who you’ve determined to be your ideal client. the fear of not being “good enough” in business and in life, especially for women. The feeling of being an imposter can affect anyone, even women who others perceive to be successful in their respective industries. “I have on many occasions in my career felt like a ‘fraud’, that I was not as good as my colleagues, not as smart or articulate, and fearful of being exposed and found out. I came to learn that this is referred to as the ‘imposter syndrome’ and it is more common among women. I suspect, however, that both women and men have feelings of fraudulence, except that with women – it is more socially acceptable to admit it. Here are some tips to help you more confidently “own” your rockstar Healthpreneur persona in every way! 1. Living “on brand” and sharing it in an authentic way that doesn’t seem forced or fake. You’ve chosen a career in which you are a role model for your clients, so strive to approach every situation in your life with honesty and integrity. Being honest with your clients about your slip-ups and sharing what you used to get back on track with your own health will help reduce those fraudulent feelings. “I was working with a nutrition client and told her during our session that I, too had my moments where I struggled with staying away from certain trigger foods. From that moment on I felt the constant pressure to be perfect in my clients’ eyes. Through some serious ups and downs following this interaction, I’ve ultimately come to a place where I’m happy with the choices I’m making to care for my body, and finally feel like I’m living out my life’s purpose. The most important lesson in all of it though? That we should never let others tell us that we have to be or look a certain way to be knowledgeable or to be the best in our chosen field. For more on Lynne’s honest account of dealing with imposter syndrome – read her full story in our Facebook group! 2. Stop comparing yourself to others in your industry. Every health professional has their own distinct journey. We have all come from different backgrounds and skill sets. Try not to be pressured by others’ ideas of success – like the growing income report trend, for example! We’re all juggling life pressures and responsibilities outside of our wellness businesses, and success will be a different picture for each of us. 3. Keep a file of the positive things your clients have said or written to you. Start collecting your client’s testimonials, and any other little love letters a client may have given you. I even heard it referred to as a “smile file” – love this! This is direct “evidence” of your success as a wellness expert and, more importantly, acts as THE PROOF when those self-sabotaging thoughts start to creep in that you truly are making a difference in people’s lives. 4. It’s ok not to hold all of the answers. Whether you’re working with a client or trying to produce web content for your business, if you’ve realized that you don’t know the answer to something, this is not a sign of failure! Instead, use it as an opportunity to learn something new. Ever heard the saying, “fake it until you make it”? 5. Take responsibility and “own” your success. Reaching both professional and personal milestones is hugely important and acknowledging your success will go a long way toward eliminating the feeling of being a fraud. 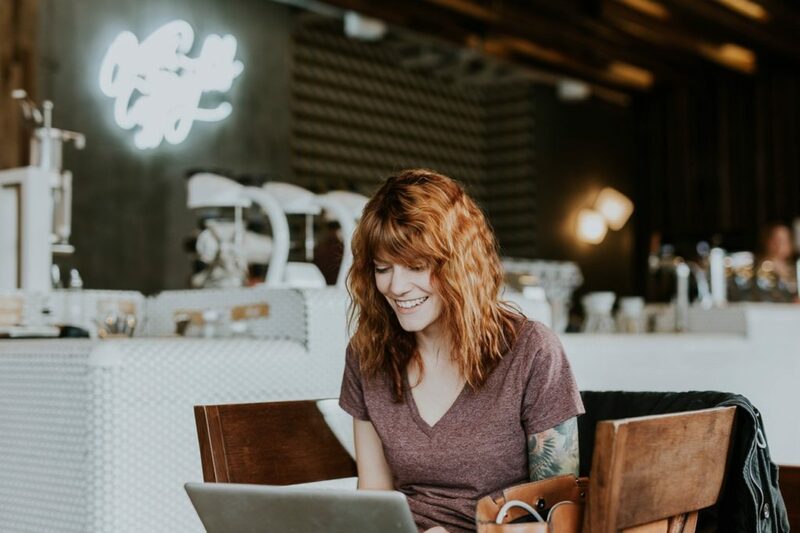 Take time to celebrate even the smallest wins in your business – like completing a blog post that’s been looming over you (umm, this one!) or getting your first paying client. 6. Believe in yourself and your unique abilities and strengths. No one is YOU, and that’s your super power! “Self-sabotaging thoughts are normal. They’re a function of having a mind and a nervous system. Many of us make the mistake of believing we need to overcome our fear and get rid of our negative thoughts in order to be successful. But that’s not true at all! Need more clarity so you can confidently (and authentically) rock YOUR kickass wellness entrepreneur persona? Together let’s juice up YOUR online wellness business!